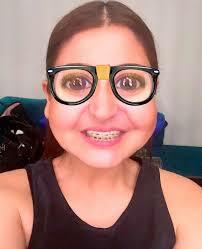 Anushka sharma knows very well how to interact with her fans and, also know what is important for publicity. She always be in headlines because of her sporty affair with Virat Kohali. Recently she has shared her whatsapp number for her fans so that they can connect to her easily. Well, this is not the first time when a celebrity like Anushka using technology in this way, but she is using it in two ways. First she is enjoying it and, second creating buzz on social media by posting her ultimate fun pictures. After whatsapp now she is using Snap chat and enjoying it. So, now days she is enjoying with technology and also made it here favorite time pass. So what are you waiting for download the app now and click your funky pictures. Previous: Develop complex apps rapidly – Your tech stack, your interface!